How Does Water Temperature Affect Tropical Systems? Many factors determine whether a tropical system intensifies or weakens. One of the primary factors is sea surface temperatures. While water temperature alone does not govern whether a storm will intensify or weaken, warm water temperatures can be indicative of an environment that can provide energy for a developing system. Let's take a look at a water temperature map from Frontier Weather. For intensification to occur, water temperatures generally need to be at least 80°F (27°C). Hurricanes can be thought of as large heat engines; as the warm ocean water evaporates into a system, latent heat is released. The warmer the water is, the more latent heat is released. This latent heat is what causes the system to intensify. To some extent, winds can also play a role; stronger winds are more efficient in transporting this heat throughout the storm. 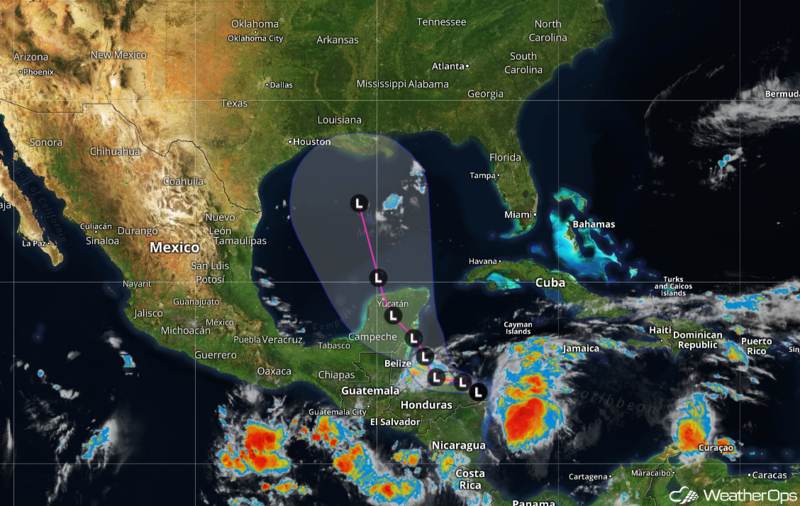 There is currently a tropical system near Honduras that is forecast to enter the Gulf of Mexico. Comparing the forecast track to the Sea Surface Temperature map above, we can see that it's headed toward warmer waters. If this low pressure system moves into an environment with weaker shear, further intensification may occur. Given the temperature map alone, this storm could intensify. It is currently expected to become a tropical depression this weekend. 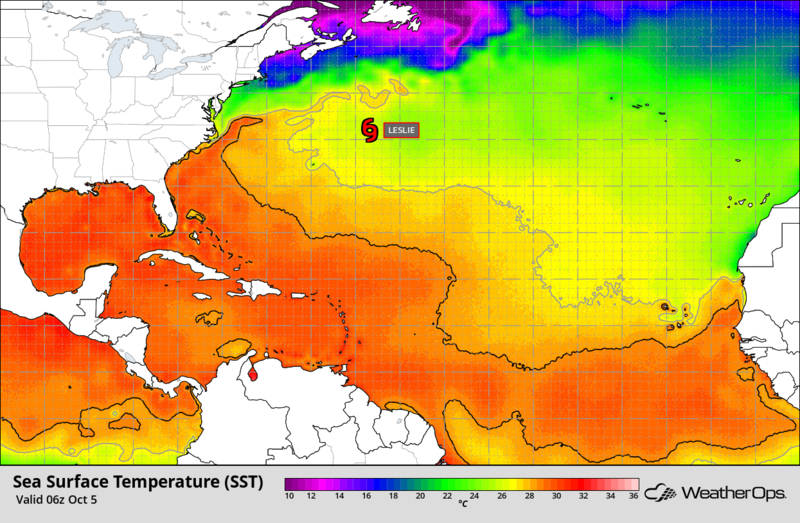 Analyzing the Sea Surface Temperatures, as well as wind shear, can help anticipate the fate of a tropical system. 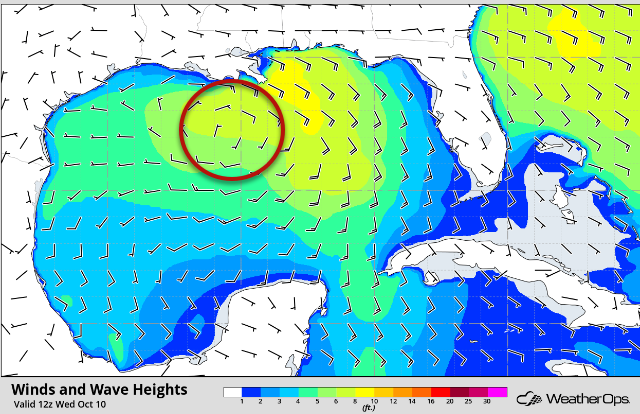 For those living in the Gulf area, now is a good time to keep an eye on this feature. Even if it doesn't become a hurricane, it could affect oil rigs and ships in the area, and eventually, bring heavy rain to the coast.